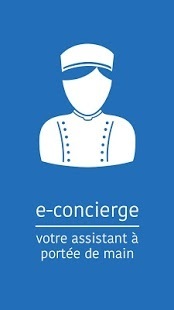 The "E-concierge" mobile app is a hybrid personal assistant developed for travellers, to help both Côte d’Azur locals and tourists organise their everyday lives and their stay. E-Concierge is a real all-round solution, available 24/7, to meet all the traveller's everyday needs. E-Concierge isn't just a loyal assistant. It is also multilingual, working in French, English and even Chinese. Perfect to help Chinese tourists at the airport, or foreign business travellers in China. What does "hybrid personal assistant" mean? As well as artificial intelligence to provide fast, effective responses, there are human operators to ensure that these responses are high-quality, natural and personalised. E-Concierge combines the best artificial and human intelligence, to make travellers' lives easier. "To give travellers what they want and need, we have chosen to provide real-time traveller assistance using the ATAWAD (AnyTime, AnyWhere, AnyDevice) concept, so that we can be right on hand to help users", explains Filip Soete, Director of the Commercial BU of Nice Côte d’Azur airport. An initial test phase was launched in June 2017 with the WiiDii app. (The Wiidii’s technology was behind the first hybrid personal assistant in the world). The service was a hit with testers, so the definitive white- label app was quickly developed, under the name E-Concierge. It is now available on Android and iOS devices. The concept is simple: E-Concierge is available from €4.99, with a price scale (weekly, monthly or yearly) according to the user's needs.